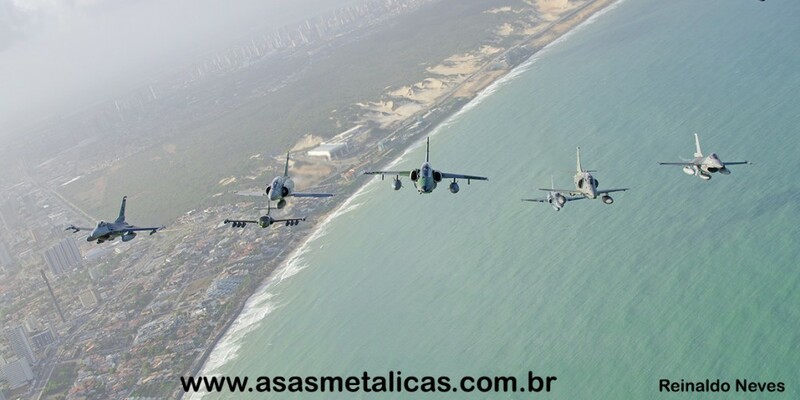 No dia 20 de Novembro aconteceu o Midia Flight, evento concorrido pela imprensa especializada nacional e internacional. Uma aeronave de carga da FAB decolou transportando fotógrafos e durante um vôo de aproximadamente uma hora, um grupo de jatos participantes do exercício voou em formação atrás do cargueiro. 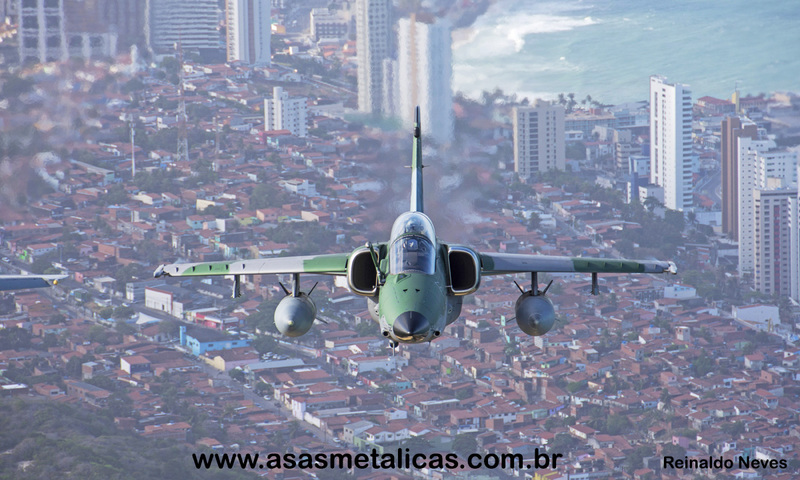 De sua rampa aberta os profissionais da imagem se revezaram no registro dos aviões. Neste ano, pela primeira vez a FAB utilizou o C-105 Amazonas, substituindo o C-130 Hércules. Foram selecionados 38 fotojornalistas para cobrir o vôo, representando as diversas mídias presentes na Cruzex. Todos receberam um extenso e completo brieffing sobre os procedimentos e regras de segurança. Todos receberam um conjunto de arreios (harness) semelhante aos usados por paraquedistas e ao se dirigirem para a rampa o conjunto era conectado ao piso do avião, evitando uma queda da aeronave, em caso de turbulência. 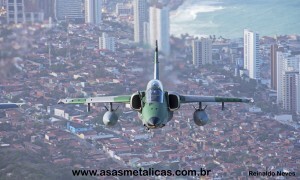 Sete aeronaves participaram da formação. 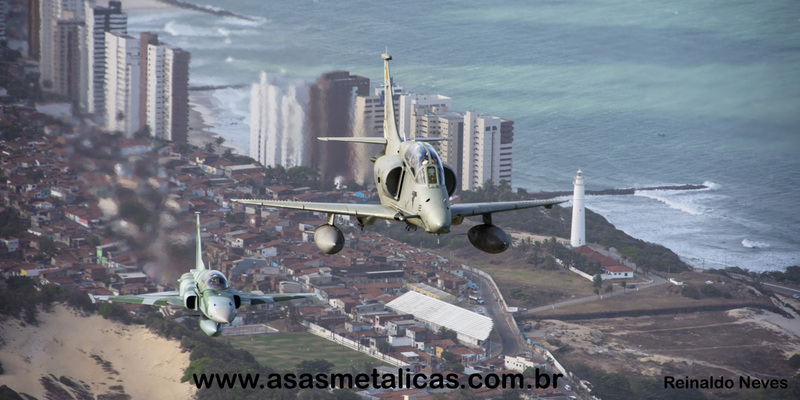 Liderados por um A-1 da FAB, estavam ao seu lado direito 01 Mirage F2000 peruano, 01 F-16 norteamericano e 01 A-37 Dragonfly do Uruguai. Na esquerda, formaram um F-16 chileno, Um A-4 Skyhawk da Marinha e um F-5 da FAB. A coordenação perfeita de todos envolvidos proporcionou a obtenção de belas imagens. « CRUZEX 2018 – Coletiva de Imprensa. site are genuinely awesome for people knowledge, well, keep up the good work fellows. Greetings! Very useful advice within this post! It’s the little changes that will make the greatest changes. I’d advocate checking on what your baby is doing on Roblox about every 20 minutes. This game will get quite a lot of flak for poor scripting, lag, the fact that it breaks Roblox guidelines and total high quality. Thank you, I’ve just been searching for info approximately this topic for ages and yours is the greatest I have found out so far. But, what concerning the conclusion? Are you positive concerning the supply? for starters. May just you please lengthen them a little from subsequent time? Great post. I was checking constantly this blog and I am impressed! Very helpful info specifically the last part I care for such info a lot. I was looking for this certain info for a very long time. Thank you and good luck. Great web site. Lots of useful info here. I am sending it to several friends ans additionally sharing in delicious. And of course, thanks for your effort! obviously like your website however you have to take a look at the spelling on quite a few of your posts. Many of them are rife with spelling issues and I to find it very troublesome to inform the truth then again I¡¦ll surely come again again. Normally I don’t learn article on blogs, however I wish to say that this write-up very pressured me to check out and do it! Your writing taste has been surprised me. Thank you, very nice post. Ll9Ieu I’аve recently started a blog, the info you offer on this site has helped me greatly. Thanks for all of your time & work. explorer, might test this? IE still is the marketplace leader and a good section of folks will omit your fantastic writing because of this problem. I must say you’ve done a fantastic job with this. In addition, the blog loads very quick for me on Chrome. I so much surely will make certain to don?t fail to remember this website and provides it a look regularly. I every time emailed this webpage post page to all my associates, since if like to read it afterward my links will too. Whenever I take a look at your web site in Safari, it looks fine but when opening in Internet Explorer, it has some overlapping issues. shout out from Porter Tx! Just wanted to tell you keep up the excellent work! I really wanted to write a simple message in order to appreciate you for all the awesome guidelines you are sharing at this site. My considerable internet investigation has finally been rewarded with extremely good suggestions to write about with my two friends. I would say that most of us readers are definitely fortunate to live in a magnificent website with so many marvellous people with very beneficial tactics. I feel very privileged to have discovered your webpages and look forward to tons of more fun times reading here. Thanks a lot again for everything. My wife and i felt quite fortunate when Edward managed to finish up his investigation because of the precious recommendations he made out of the web page. It is now and again perplexing to simply continually be handing out information which often some people could have been making money from. And we all do understand we have got the blog owner to give thanks to because of that. These explanations you have made, the easy blog menu, the relationships you make it possible to create – it’s got many impressive, and it’s really aiding our son and our family do think the concept is exciting, and that is quite important. Thank you for the whole lot! it’s very hard to get that “perfect balance” between superb usability and visual appeal. articles, but this web site presents feature based posts. I just wanted to jot down a remark to be able to express gratitude to you for the pleasant instructions you are writing on this site. My time intensive internet research has finally been recognized with pleasant tips to share with my relatives. I ‘d repeat that many of us visitors are really fortunate to exist in a really good website with very many brilliant people with valuable suggestions. I feel quite fortunate to have encountered your webpages and look forward to so many more brilliant minutes reading here. Thanks a lot once again for all the details. could I am getting that kind of info written in such an ideal approach? website which provides these kinds of data in quality? It’s an remarkable post for all the online users; they will obtain advantage from it I am sure. I got this website from my pal who shared with me regarding this website and at the moment this time I am browsing this website and reading very informative content at this time. Respect to op, some wonderful entropy.